For longtime Twin Peaks fans, it seems unreal that we’re just weeks away from seeing new episodes of the strangest TV series ever to air on broadcast network television. And that’s saying a lot, because people who enjoy this show are accustomed to the unreal. But it’s true — Twin Peaks is coming back, and nearly all the actors we fell in love with back in 1990-91 are reprising their roles. Kyle MacLachlan will once again don Agent Cooper’s dapper suit. Sherilyn Fenn and Madchen Amick are looking as good as ever as town bombshells Audrey Horne and Shelly Johnson. Even Sheryl Lee will once again portray Laura Palmer—which seems remarkable, given the considerable handicap of still being dead. It’s not just the major players, either. Everyone from the Giant (Carel Struycken) to the inexplicable new-wave chick crooning in the local bar (Julee Cruise) are coming back. Is DEA agent Denise Bryson openly trans 25 years later? Who knows, but we might find out, because David Duchovny is coming back, too. Of course, Twin Peaks had a lot of supporting players. So today we’re reminding the more casual fans out there of some of the notable actors who played smaller roles on the show before moving on to bigger and better things. We don’t imagine we’ll see them in Twin Peaks 2.0, but, hey, with David Lynch all things are possible. After showrunners decided to downplay the sexual tension between Agent Cooper and a high school-aged Audrey, she got a new love interest in the form of John Justice Wheeler, a dashing businessman played by Billy Zane at his hunkiest (and with a full head of hair). He’s charming enough — and worthy enough of Audrey’s affection — that we can nearly forgive his bad behavior on boats in movies like Dead Calm and Titanic. Years before she’d wear Mary Katherine Gallagher’s plaid skirt and even longer before she got to show off her range in Other People, an unknown Molly Shannon appeared in a single scene on Twin Peaks>. She played Judy Swain, the adoption agent who stuck Lucy (Kimmy Robertson) and Deputy Andy (Harry Goaz) with an eager adoptee who more than likely offed his previous set of adoptive parents. Let there be nothing more said of this Little Nicky-esque plot line, though it’s always good to see Molly Shannon. Before all of you who own the Blu-Ray containing the Fire Walk With Me deleted scenes tweet at me about Heather Graham not being obscure enough to include on this list, let me say this: You’d be shocked how often people don’t seem to realize that Coop’s late-in-the-series love interest, Annie Blackburn, was played by Roller Girl herself, all big-eyed and big-haired and beautiful and so very weird. She’s more Even Cowgirls Get the Blues-level Heather Graham than Boogie Nights-level, but it’s her. It’s also worth pointing out that Graham is apparently not reprising the role for the new episodes, which makes this superfan wonder if one of the A-listers joining the cast might be taking the role over. Maybe Naomi Watts or Laura Dern? A guy can dream. 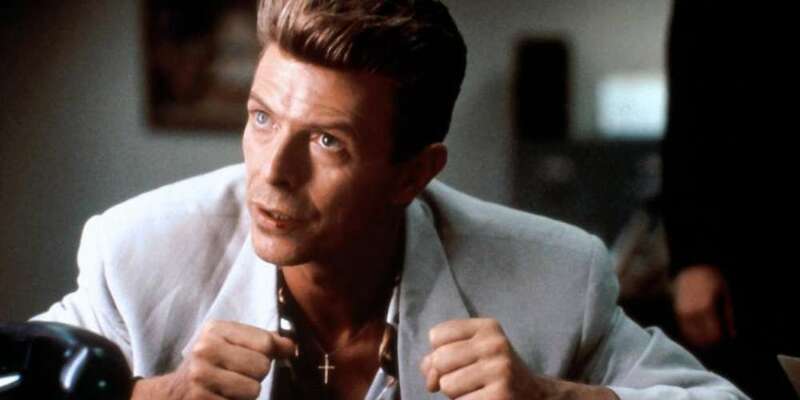 The movie prequel Fire Walk With Me features turns from Chris Isaak and Keifer Sutherland, but the cameo by David Bowie steals the show. FBI Agent Philip Jeffries is on-screen for mere moments before blinking away again— to the Red Room? to Buenos Aires? to nonexistence? — and the nature of his disappearance has led to countless debates on Twin Peaks message boards ever since. 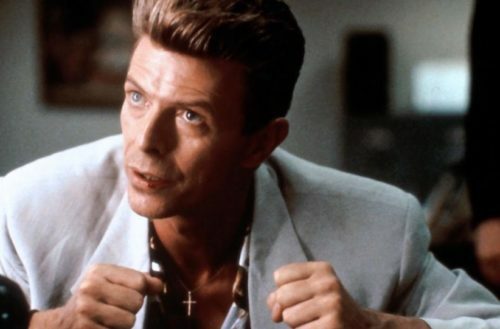 Bowie was allegedly set to reprise the role for the new series, but he died before he had the chance. I guess we’ll never know anything about the Judy he rants about, so let’s assume it’s Judy Garland and not Josie Packard’s long-lost sister. On six episodes of the show’s second season, Lively plays Lana Budding Milford, a woman who’s apparently irresistible to men even though the town of Twin Peaks is teeming with drop-dead gorgeous women. But what you may not realize is that Lively is none other than the star of Teen Witch herself. Had she just done one of the routines from Teen Witch, Lana might have won the Miss Twin Peaks pageant. Lively — who, yes, is the older half-sister of Blake Lively — will not be returning for the new episodes. Her character was written out of Twin Peaks in The Secret History of Twin Peaks, a 2016 fill-in-the-gaps book written by series co-creator Mark Frost. You’d be forgiven for not remembering that Donna Hayward (Lara Flynn Boyle) has a little redheaded sister, Gersten (Alicia Witt). She’s something of a piano prodigy, and while she only appears in a single episode of the show, Witt will be reprising the role for the new series. And that’s all the more remarkable because Flynn Boyle isn’t. (Was Moira Kelly busy? Could Ashley Judd be taking over that role? Could someone else?) Witt had previously appeared in David Lynch’s adaptation of Dune, and she’d later play Cybill Shepherd’s daughter on Cybill, the lead in the slasher movie Urban Legend and roles on Nashville and Friday Night Lights. Yes, Happy Gilmore’s grandma shows up in Twin Peaks, and not just as any old lady. In fact, as we see in Fire Walk With Me, she’s actually one of the spirits inhabiting the Red Room, alongside BOB (Frank Silva), the Giant and the rest. Bay died in 2011, but her presence in the original run of Twin Peaks is one of the more notable by the many actors who’d later appear on Seinfeld as well. You did realize that Donna’s dad (Warren Frost) and Laura’s mom (Grace Zabriskie) play the parents of Susan, George Costanza’s doomed fiancée, right?